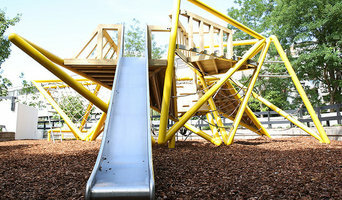 Bespoke treehouse designers and builders zip wires and play equipment. 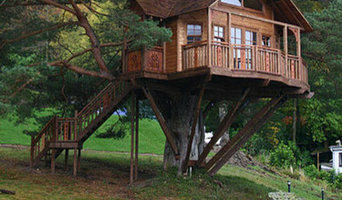 Treehousemasters uk ltd are a team of experienced professional craftsman providing a high quality contracted bespoke service to all clients. 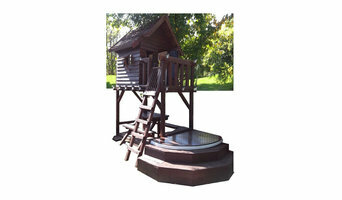 We build treehouses and adventure play areas of all sizes and meet the needs of all budgets. we are *****highly recommended. Set in the beautiful scenery of the famous town of Buxton in the Peak District, yet only 25 miles from Manchester city centre and 20 miles from Stockport. Our shooting grounds offer food, refreshments and ample parking, as well as stocking a wide variety of cartridges at excellent prices, whether it be 20 or 500 cartridges. With a wide variety of targets presented over many different stands set in natural surroundings, there really is something for everybody, whether you’re a competitive shooter or a complete novice. Whether you want to shoot hoops with friends or plan a safe kids play area for your little ones, there’s a New Mills, Derbyshire, UK professional on Houzz that can help you turn your backyard dream into a reality. Sports court and outdoor play specialists in New Mills, Derbyshire, UK design, install, repair, resurface and replace sports surfaces, including tennis courts, basketball courts and playgrounds. They have a thorough knowledge of sport rules, regulations and standards, such as court dimensions and net heights, and are required to stay on top of the latest sporting technologies and flooring systems. They can assist with planning and council approval before construction begins, as well as other unforeseen requirements, such as drainage and retaining walls. Aside from surfacing, they can also provide lighting, fencing and equipment to complete a recreational area. Find a sports court and outdoor play professional on Houzz. Scroll through this page to find professionals that specialise in playground and sporting surfaces in New Mills, Derbyshire, UK, as well as play equipment and accessories. You can browse their latest projects, read reviews to see how other homeowners rate their work, and message them directly.